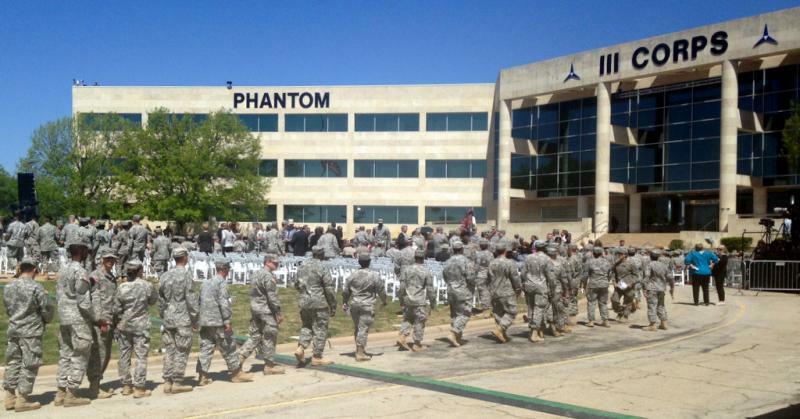 Fort Hood the day after the 2014 shooting. 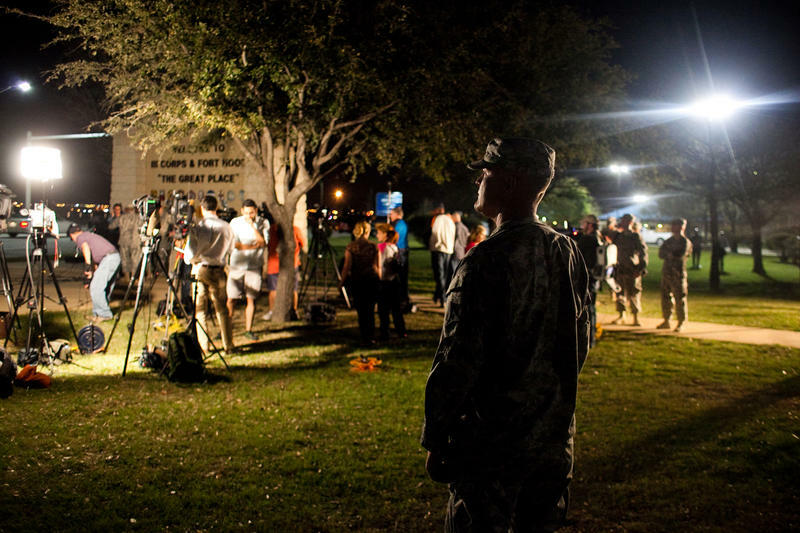 The U.S. Army has closed its investigation into the April 2014 shooting at Fort Hood that left four people dead. The Army concluded that there was “nothing in the assailant’s background, medical or military profile” that might have provided officials with warning signs that he would act violently. Specialist Ivan Lopez opened fire on the Army base on April 2 of last year, killing three soldiers and injuring 12. Lopez then took his own life. Investigators did note there were various "stressors" that may have contributed to the Lopez's state of mind. Two of the shooter's close family members had recently died, he was experiencing financial difficulties and had been struggling with some personal health issues. He had arrived at Ft. Hood shortly before the attack, after being transferred from another assignment. 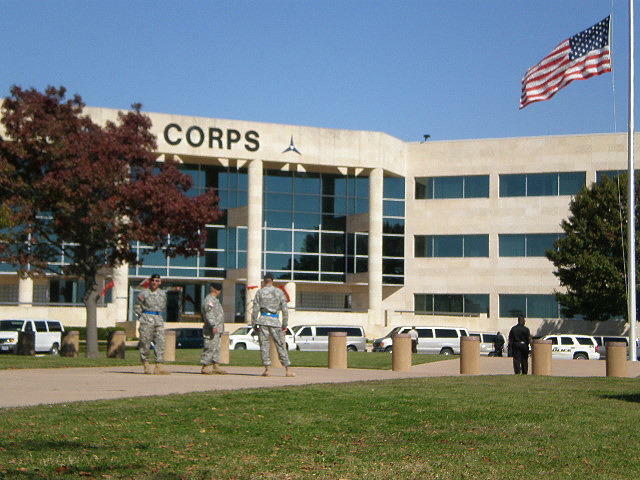 The report noted that a variety of leadership and management shakeups at the base may have left officers with insufficient time to "train, mentor and lead" new soldiers. Despite that, investigators concluded that even had there not been shortcomings in leadership at the time, there'd be no reason that anyone would have noticed anything unusual in Lopez's behavior. But the report also highlights that risk assessments are based mostly on self-reported information, and that Lopez could sometimes be "misleading or deceptive." Lt. Gen. Joseph E. Martz led the months-long investigation, during which Army personnel interviewed and took statements from 169 eyewitnesses. Another issue the report addresses is that of Lopez's personal weapon. He's purchased two weapons, unbeknownst to his leaders, and one of those was used in his attack. Investigators recommend now that Army officials look into "examining whether soldiers should be required to register personally owned weapons with their command." A statement from Fort Hood says the post is working to implement the report's recommendations. A full, redacted version of the report can be found here. The Army’s top civilian official says the soldier accused in the Fort Hood shooting this week was deployed for the final months of the Iraq war but did not see combat. Three people died and 16 were wounded before the shooter committed suicide. At least three military personnel remain in critical condition. Army Secretary John McHugh testified Thursday that the soldier appeared to have no connections to extremist groups. 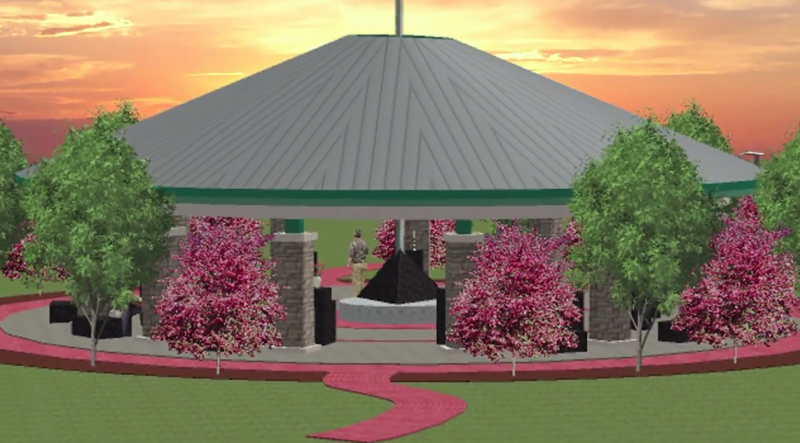 People trying to build a memorial for victims of the 2009 shooting at Fort Hood hope a ground breaking ceremony they held Tuesday will help raise the last amount of cash they need to complete the project. It's been almost five years since Army psychiatrist Nidal Hasan opened fire at the Army post, killing 13 people and wounding more than 30. Hasan, 43, was sentenced to death last year by a military jury. Update: For the second time in five years, President Obama arrived at Fort Hood to mourn alongside those grieving the loss of their family members in a shooting on post. Three men were killed and sixteen were injured in the shooting on April 2. Fort Hood families know death is a part of war: 576 soldiers Fort Hood have died serving in the wars in Afghanistan and Iraq.